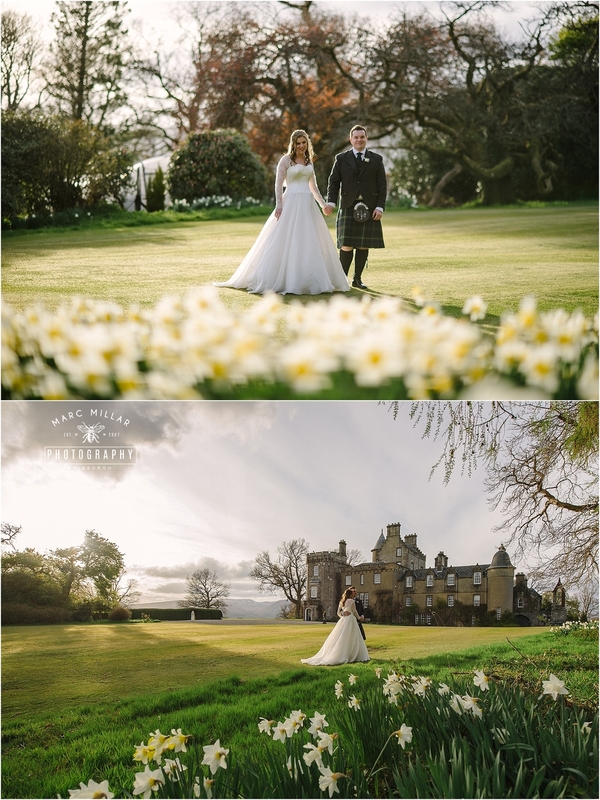 You know when you are about to blog your images and they have daffodils and snow in them and it is now mid June then you are behind in blogging! 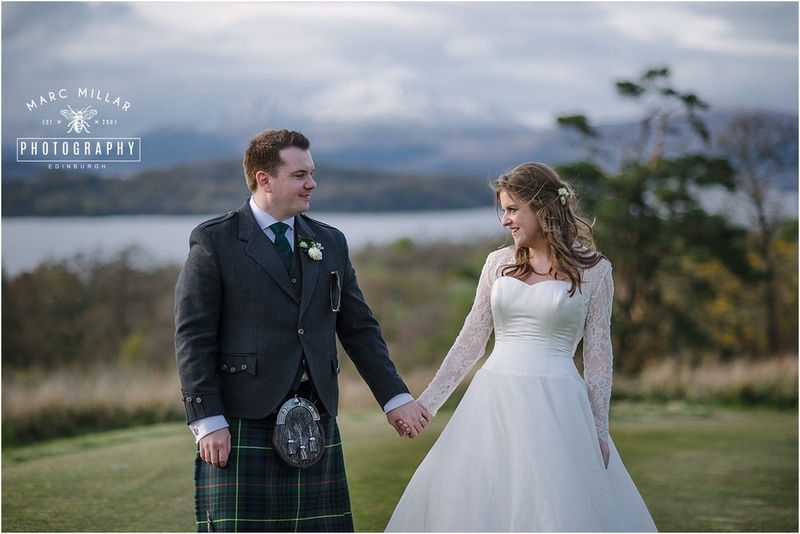 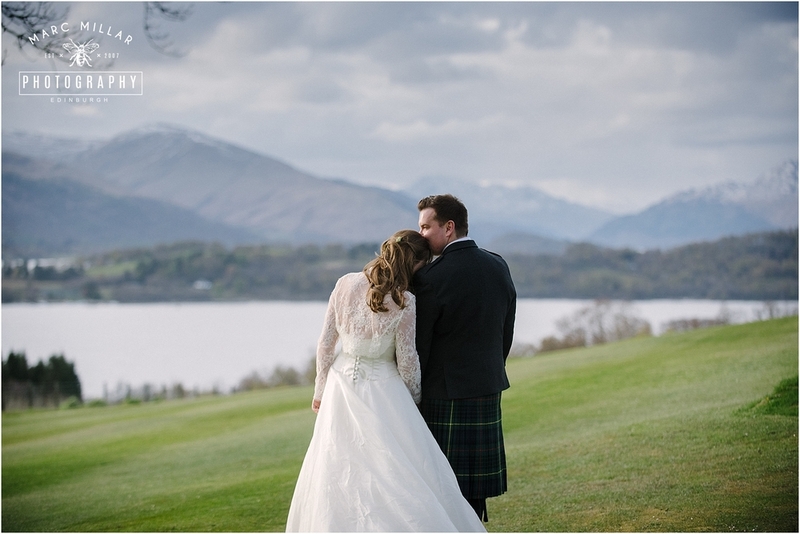 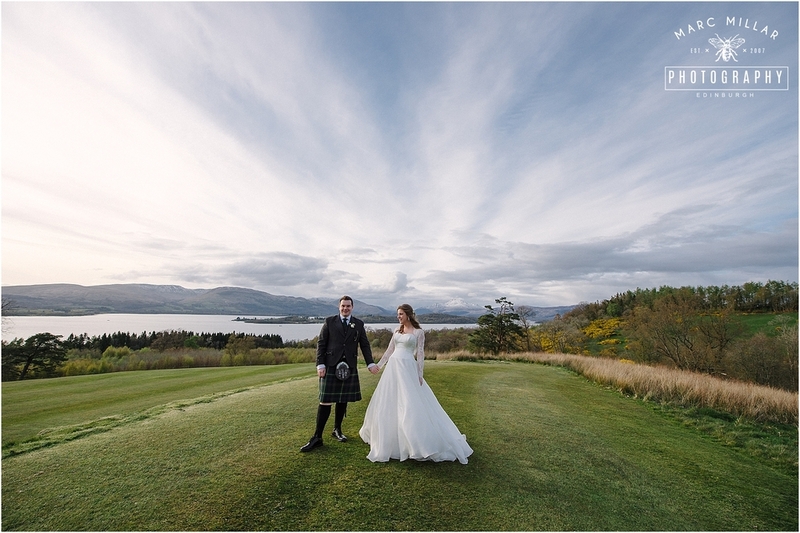 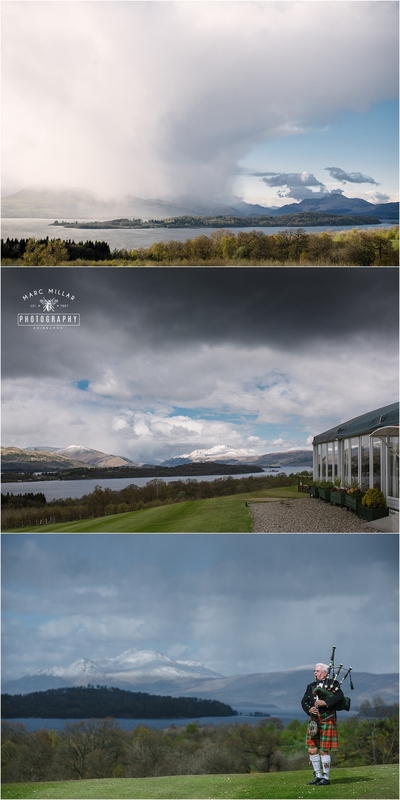 This was my first time shooting Boturich Castle overlooking Loch Lomond. 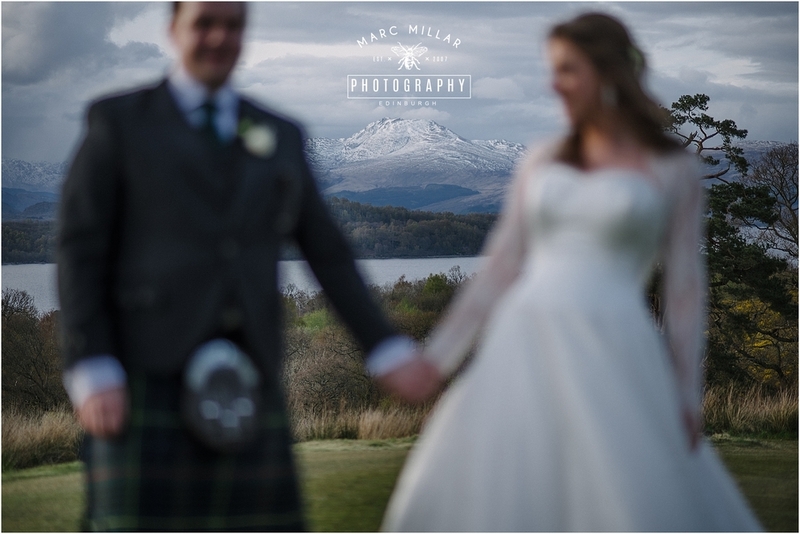 It was stunning, and hot for April and still had a nice cap of snow still on Ben Lomond. 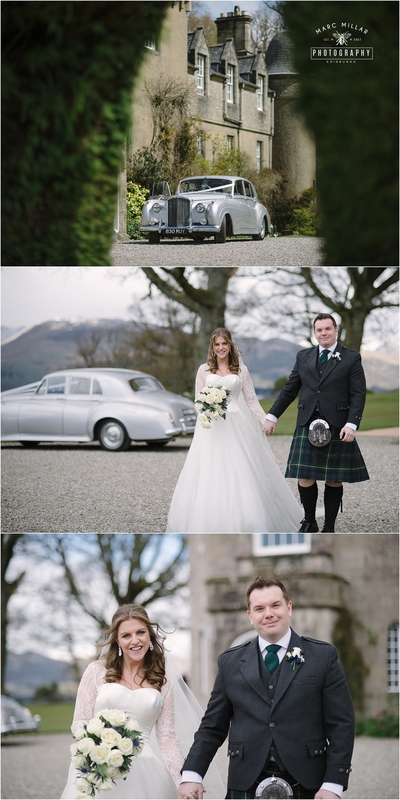 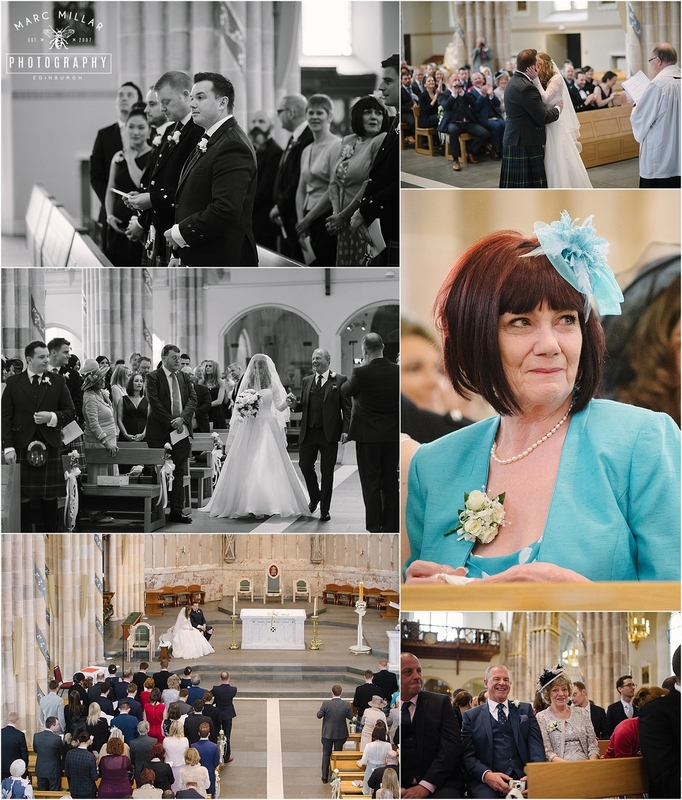 Maria and Davey got married in St Andrews Cathedral in Glasgow then a nice wee drive up North in a vintage Bentley that Davy got as a surprise for Maria. 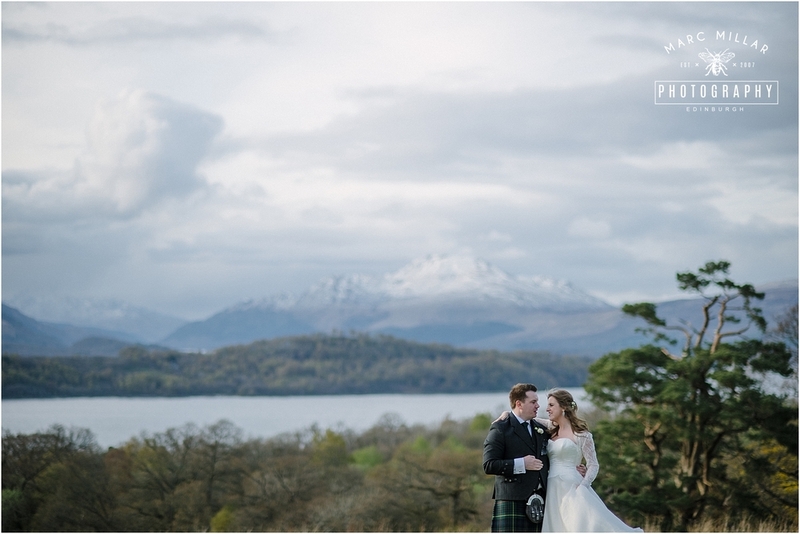 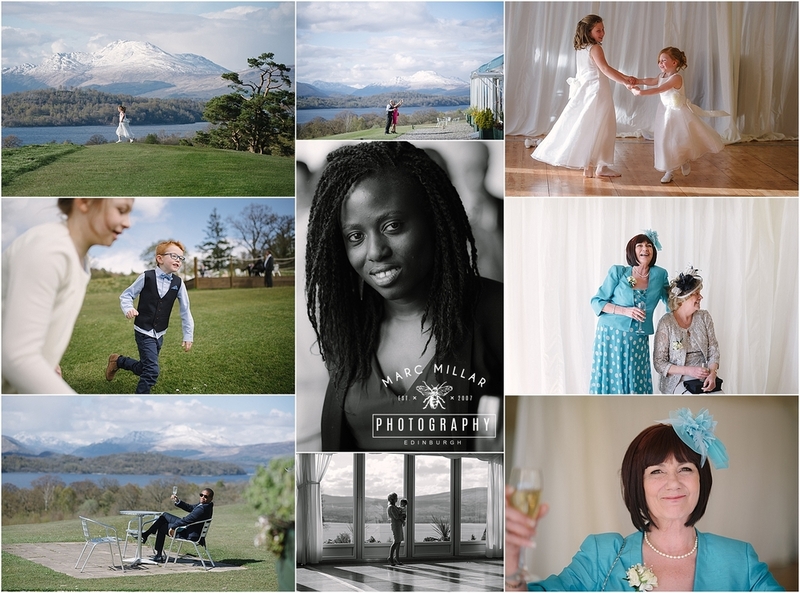 I think that when all your guests take a selfie with the surrounding hills and views in the background then you have picked a winner of a venue. 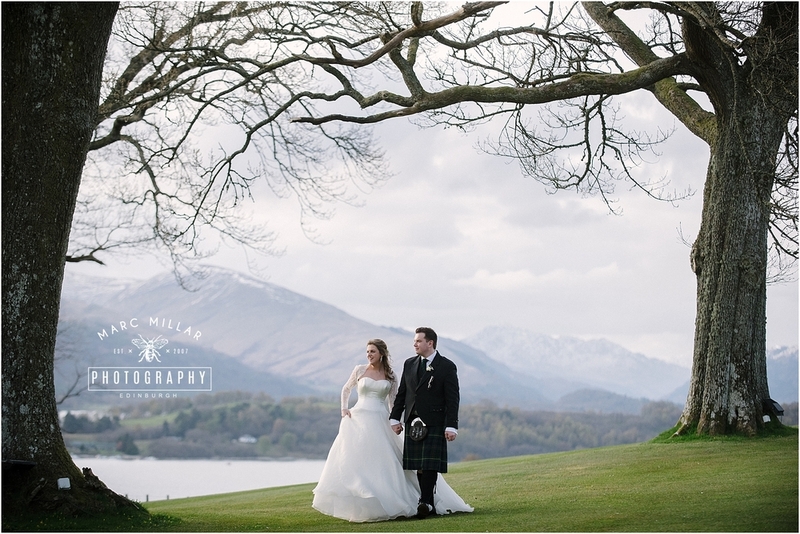 As the weather was so changeable during the group shots and initial couple shots going from harsh sun to rain and wind we ventured outside again after the meal and managed to get some really nice late evening light for the couple shots, I always find this is the best time for couple shots at this time of year and a few glasses of fizz always helps make it a bit of fun. 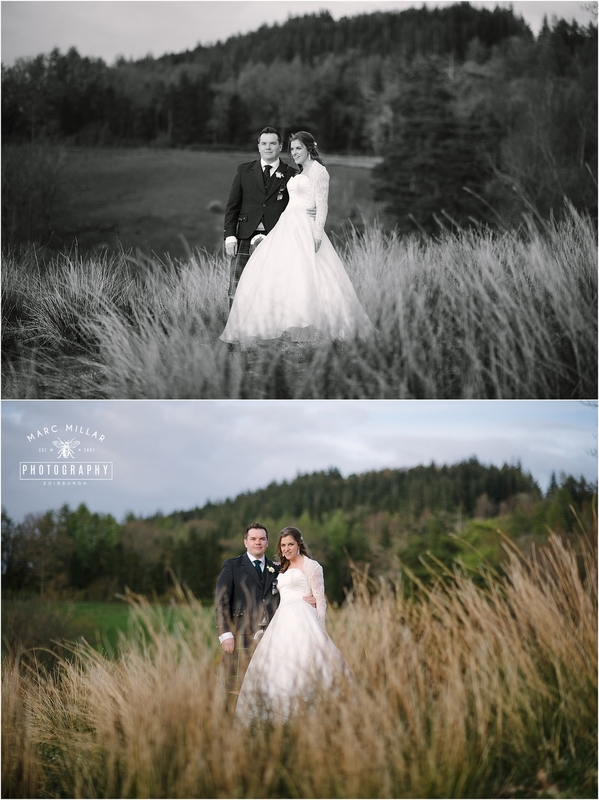 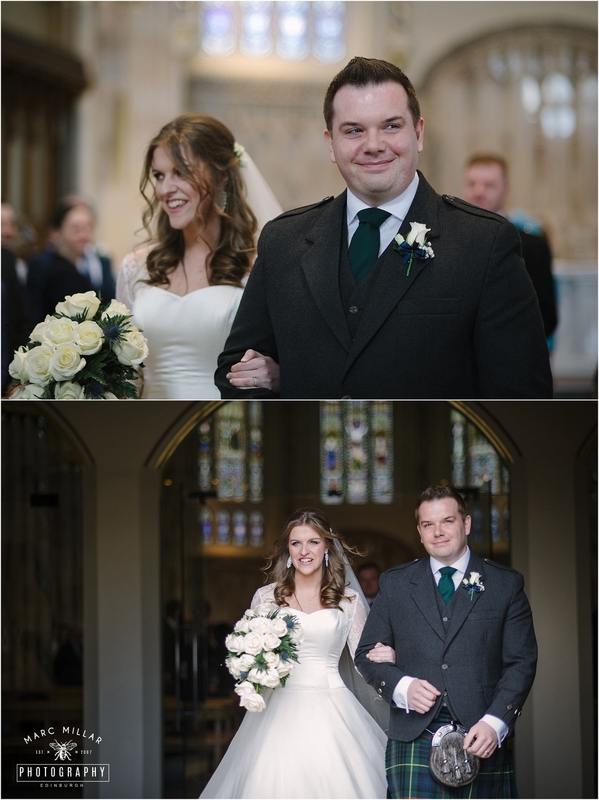 A big shout out to the Bridesmen or Manmaids who were on hand to keep the dress from getting to grassy !